I always have a hard time choosing books to read during … well, during any month really. On the one hand, my shelves are overflowing as it is and I have not read all of the books I already own. But to be honest, I often just don’t feel like reading them. And on the other hand, I want to read a ton of new books, but getting the original editions and not the translated ones takes time since they are barely ever available or on stock. So, I am super proud to actually have a pretty decent September TBR for you. Take a look! This is kind of a no-brainer since those are Book 2 and 3 in the Magicians trilogy and I promised to finish it. I visited an English bookstore in Vienna and everything was soooo expensive. 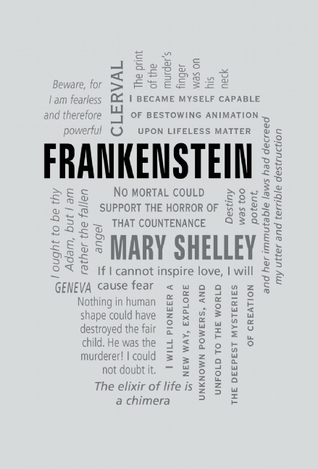 And then I saw them: various classics from the Word Cloud collection. I love those editions so much and I really had to restrain myself from buying them all. I ended up with Frankenstein and am quite happy about that. The books are bound in some sort of soft leather and have sentences from the book on the cover, formed in a word cloud using different fonts. I LOVE it! I am sure I am going to need a bit of a more light-hearted book when I’m done with the Magicians, so I thought this one would be quite nice. 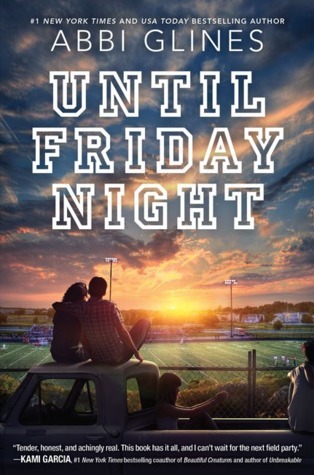 It seems like a sweet book about teens with problems, but the normal and not the magical kind. Incarnation love story and gorgeous cover? Count me in! I think it’s part of a trilogy, so I hope it doesn’t have a terrible cliffhanger ending, but I am excited about this book. As always click on the book covers to be redirected to Goodreads for more information! What are you reading this September? Frankenstein. Sounds like you’re taking a page out of my book…figuratively speaking. I’m nearing the end of Game of Thrones, I have the complete works of HP Lovecraft to get through, and a biography of a woman who lived in the Soviet Union when she was young. After that…maybe Clash of Kings’s audio book. We’ll see. Are you still enjoying GoT? I liked the third book best, but I don’t remember what it was called. I didn’t think I’d end up enjoying it this much. Part of me didn’t even want to, because I was afraid of how deep I’d go into my fandom. But yeah, my nature won out and I’m now very deep in. Almost done with the first book. I might get the second one very soon. I actually didn’t love the books. It’s probably because I didn’t enjoy the POV of all the characters and got bored in between the bits that weren’t about the people I liked. Who are your favourites so far? Mine were always Sansa, Tyrion and later on for some reason Jamie. I love to hate Sansa, so I look forward to her chapters. Arya’s always fun, and Tyrion’s full of humor. Jon’s a bit separated from the action, so his are a bit duller, but still intriguing. And of course Danaerys is just awesome. I love seeing her grow and you know she’s going to become the most powerful woman ever even though she’s still a continent away. I like Dany and Jon in the show and I remember also enjoying their chapters in the beginning, but not towards the later books. I never hated Sansa. She was genuinely a character I really liked and no one ever agrees with me. But I am happy to root for her all by myself. I think people take issue with the fact that she constantly wants to live in a fairy tale (or song, as they say in GoT). That, and she can be incredibly selfish in pursuing this goal. Plus she can be a little nasty to people she feels are beneath her. I’m interested though, what makes you say you like her? My boss said something similar earlier this week, and I’m curious as to why. Well, I didn’t like her in the very beginning, because as you said she can be a bit of a popular mean girl. But then again, she was trained to be a lady and to believe in those songs all her life, so you can’t really hold it against her. Then as the story develops, I started feeling sorry for her. I don’t know how much you know or anything and I don’t necessarily want to spoil you so I am trying to keep this vague. A lot of things happen to her family, she’s all by herself in an abusive relationship. She handles everything amazingly well and I think she is a lot tougher and smarter than people give her credit for. Any other character in her position would be long dead by now. I’m at the point where her dad’s just died and that abusive relationship has just begun in earnest. I can see the beginnings of maturity starting to sprout (or maybe that’s cynicism and experience I’m seeing), so I guess I’ll see soon what she’s made of. Just finished The Long and Faraway Gone 🙂 Currently Reading The Storied Life of A.J. Finkry, and am bringing Armada for my weekend trip. The Magician’s Land and The Next Together both sound really interesting! Uuh, I heard good thins about The Storied Life of A.J. Finkry. And I really hope you enjoy Armada! Was it you who said you read RPO and loved it? 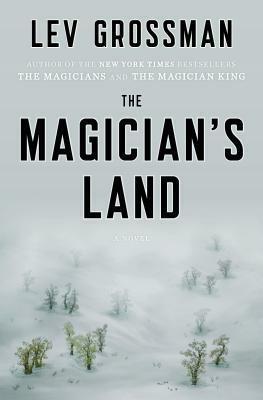 I am a bit wary of the Magicians trilogy because I didn’t love the first book as much as I’d hoped. But I still want to know what happens, so there’s not other way than to read it. 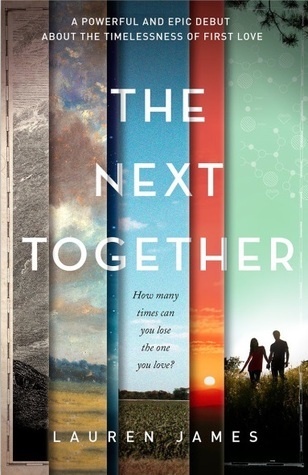 The Next Together has me really intrigued! I can’t wait to get my copy in the mail! I know, right? It looks s intriguing and I can’t wait to get it. It’ll probably arrive sometime next week, so I have until then to finish the Magicians. I don’t want to just read it in between. I’m just about finished reading The Mill on the Floss and after this I’m seriously considering a reread of Frankenstein. It’s been a few years for so I could use a reread. Cool! That would mean we’d be reading the same thing this month: I approve!!! Oh, Frankenstein is a good one. Very…interesting. I thought it was about time that I mixed it up with a classic again. Absolutely. It’s rather freaky, I think. I’m looking forward to reading it, but I am a little concerned about how long it’s going to take me to get through it. Classics always require more concentration and slow me down a little. If you finish it in a month…why…I’ll be surprised! Well, I’m trying to read a lot of other stuff so maybe I won’t make it. But maybe I will. We’ll see. Here’s rooting for you, madam. I always have a huge stack of books and go through them really quickly. I also have a poor memory and rarely retain any details! But isn’t it kind of sad if you forget all about it after reading it?